Put into a blender about half (to one third) of the mango pulp, about 3 cups milk, about 1 1/2 T sugar and 6 ice cubes. Blend until smooth. Serve. Repeat quickly, as people will already be asking for more. Blend all the ingredients in a blender. Serve cold. 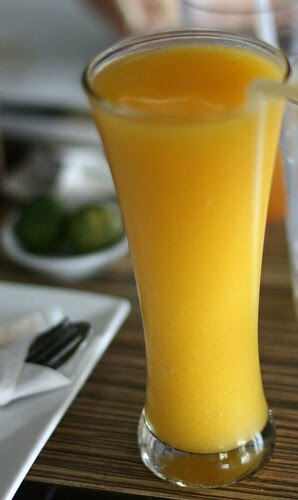 The "mango nectar" that is widely available in American grocery stores does not have nearly enough mangoes per unit volume to make this drink. Try the mango pulp from our store for best result. Peel the Cardamom and powder the grains; throw away the peels. 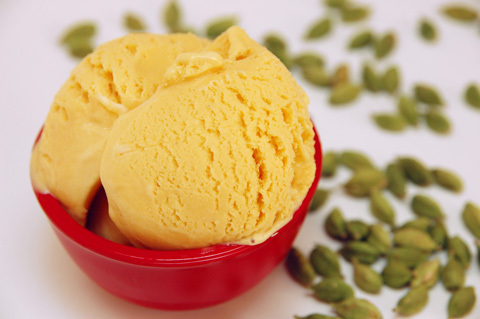 Alternatively you can use half a spoon of readily available powdered Cardamom. Add ice cream/frozen yogurt, milk, and mango pulp to the blender and blend them for about 2 minutes. Add Cardamom to the milk shake and blend it again for a few seconds. Refrigerate the milk shake and serve with or without ice. Blend together all the above ingredients for about 1 minute in a food processor or blender. Mix in water depending on the consistency of the juice you want and chill. Serve garnished with a mint leaf. 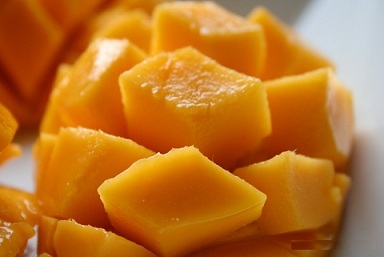 Combine water, mango chunks and ice cubes in a blender; process until smooth. Serve immediately. Peel skin of mangoes, grate and add salt to it, mix well and put aside for 5 minutes, Squeeze and remove the juice from mangoes, For 1 cup of mango juice take 4 cups sugar and 1 glass of water and boil sugar and water for 30 minutes. Now add mango juice, mix well and boil for few more minutes, When it gets cool, starin and take the juice into a bottle and add essence and color, mix well. Serve with ice cubes. In a blender, combine all ingredients until smooth and frothy. Pour into chilled glasses and serve with strawberry garnishes. In blender, combine mango, raspberries and milk. Whip until smooth. Pour into chilled glasses. Top with whipped cream. In tall glasses, combine mango and rum. Stir together. Fill each glass with sparkling water. Serve with an iced-tea spoon. Puree the fruit of mango in a blender. Add the lime juice and club soda and mix just to blend. Strain. Pour over ice and garnish with thin slices of lime. 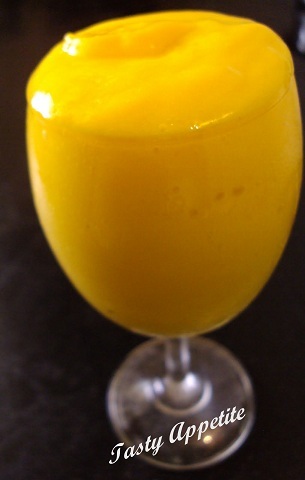 In a blender, mix the fruit from 1 large mango and orange juice. Blend until smooth. Add 1-2 tsp. lime juice and ice cubes and blend again. In a large pitcher, slowly combine the puree and wine. Place all ingredients in blender. Blend, pour over ice or blend with crushed ice and enjoy. A healthy refresher anytime. Put all ingredients in blender and blend to a smooth consistency. Combine all ingredients except ice in blender. Blend until smooth. Add ice and blend till slushy. Process mangos until pureed. Add concentrate, juice and sugar. Cover and blend. Pour into container and freeze until firm. To serve, remove from freezer for 10 minutes. Scrape mixture into a glass until half full. Fill with ginger ale and stir gently. Add lychees, 1/2 can of lychee juice, and mango slices to vodka. Allow to sit for at least one week in a closed container. Add fruit-infused vodka to iced shaker. Add 1 drop Blue Curacao. shake vigorously. Strain into chilled martini glasses. Garnish with four to six fresh pomegranate seeds. 1.Cut and score the mango fruit, cutting into bite-sized pieces. Stir in 1/2 cup sugar with the mango pieces. Cover and refrigerate for at least 1 hour. 2. Puree the mango and the sugar syrup. Add the lime juice and puree again. Add the remaining 1/4 cup sugar and puree one more time. 3. Whisk together the egg with remaining 1/4 cup sugar. 4. Warm the milk and cream over low heat. Add 1/2 cup into the egg and sugar mixture, whisking. Continue adding cream, 1/2 and then 1/4 cup at a time, whisking all the while. 5. Add the egg and cream back into the warming milk/cream mixture. Turn up the heat as needed and whisk for about 8 - 10 minutes, until just beginning to thicken and the cream lightly coats the back of a wooden spoon. 6. Strain into a bowl. Cool. (Place the bowl in another bowl of cold water to cool quickly). 7. Stir in the pureed mango. Freeze in an ice cream maker according to manufacturer's instructions. Garnish with the toasted coconut and mint sprigs if desired. 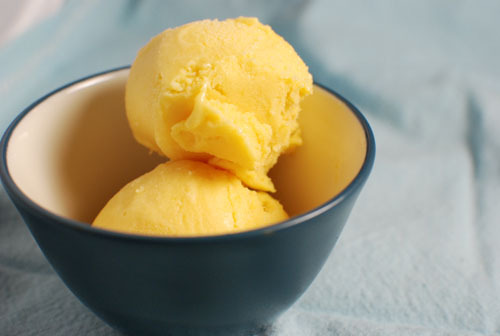 Mix together the mango pulp, condensed milk and cool whip with the help of an electric mixer. Add rose water to it. Pour the mixture in an airtight container. Sprinkle it with chopped nuts. Freeze the mixture overnight in refrigerator. Remove it from the freezer, again whisk it and refrigerate. 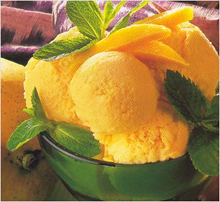 Mango ice cream is ready to serve. In an electric mixer, at medium speed, beat 1 pkg. 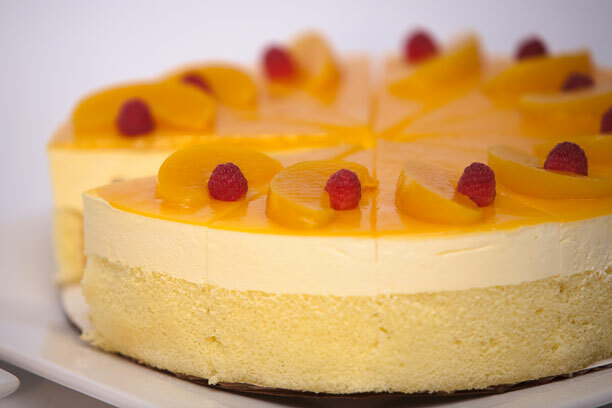 (250g) Cream Cheese with 1 peeled, pureed mango,1/2 cup powdered sugar, 1 tbsp. fresh lime juice and 1 tsp. grated lime rind until smooth. Fold in 2 cups prepared DREAM WHIP. Spoon into chocolate cups and refrigerate. To make chocolate cups: melt 6 oz. white or bittersweet chocolate. Using a small spoon, lightly coat the inside of 8 foil-lined baking cups. Freeze for 10 minutes. Recoat any thin spots and freeze 1 hour. Bring water, sugar and flavorings to a boil. Simmer for 5 minutes. Add peeled and sliced mangos. Simmer for 10-15 minutes or until tender. Cool. 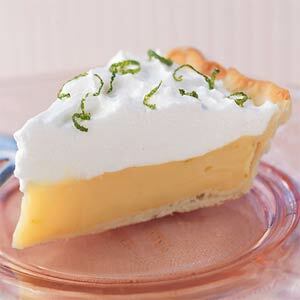 Serve plain, with vanilla ice cream or whipped cream. Bring mangos & water to boil in heavy saucepan. Add sugar. Let cook 10-15 minutes until thickened and has smooth consistency. Add nuts and let cool. Serve over ice cream. Combine all ingredients (except dough). Roll out 1/2 pie dough. Line a 9" pie pan and trim excess. 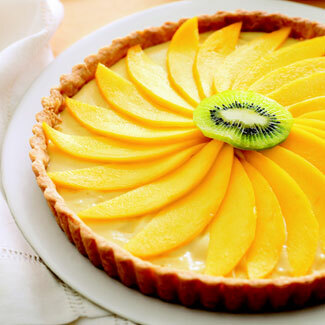 Fill pie shell with fruit mixture. Roll out other half of dough and top pie. Press edges together and cut slits in center. Bake 55 minutes or until brownin 425' oven. Step 1: Mix cinnamon, baking soda & salt. Step 2: Mix eggs, vanilla and crushed pineapple. Step 3: Mix mangos, walnuts and raisins. Step 4: Combine all ingredients together. Pour into prepared 9"x11" pan and let sit for 20 minutes. Bake at 350' for 40-45 minutes. In food processor, process mango and sugar until smooth. Add yogurt. Pour mixture into freezer container of an ice cream maker. Freeze according to manufacturer's instructions. To prepare without and ice cream maker, Pour mixture into an 8"x4" freezer container. Cover and freeze 4 hours, whisking from time to time. Combine water and sugar in small saucepan. Bring to boil, shaking pan gently until sugar is dissolved. Boil 1 minute. Transfer to medium bowl and let cool completely. Add mango puree and lemon juice and mix well. Force through a fine sieve. Freeze in ice cream maker according to manufacturer's instructions. Peel, pit and chop fruit. Puree with honey and ginger in blender or food processor. Bring puree to boil in small saucepan. Gradually whisk in beaten egg yolk, then set aside to cool. Beat egg whites with salt and cream of tartar until soft peaks form. Gradually beat in sugar until stiff peaks form. Stir yogurt into mango mixture then fold in egg whites. Spoon into a shallow metal pan and freeze until firm, stirring occasionally. Mix mango and apple juice. Add sugar to taste. Freeze for 30 minutes. Beat it well then fold in whipped cream and nutmeg. Pour into porcelain petit pots and chill for several hours. Mix mangos, sugar, flour and cinnamon. Pour into uncooked pie shell. Cover with top crust. Cut slits to let steam escape. Bake in hot (450') oven for 10 minutes. Reduce temperature to 350' and bake for 30 minutes more.